Liza Soberano showed off her rapping skills in one of her shows. Not everyone knows that Liza Soberano is also good in spitting rhymes and rapping to different hip-hop songs. 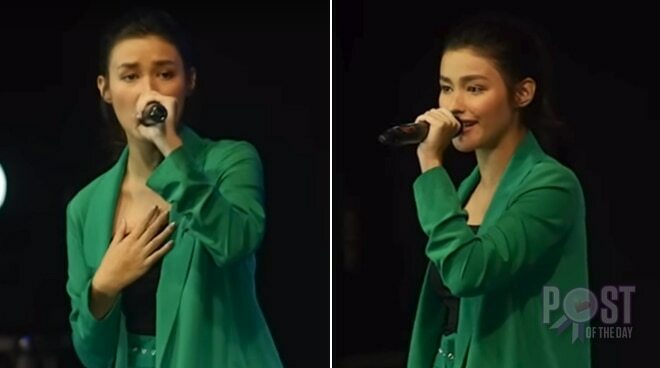 Just check out this video of her singing not only the chorus of Rihanna and Eminem’s “Love the Way You Lie” but also the rap part during the “LizQuen Live in Legazpi” concert at Ibalong Centrum last April 21. Liza is set to star in the latest film version of Darna. However, the release date has been moved to a latter date. Fans of Liza and her rumored boyfriend and onscreen partner Enrique Gil have something to look forward to since the pair will be working together in a film directed by Antoinette Jadaone, the director behind acclaimed films That Thing Called Tadhana and Love You to the Stars and Back to name a few.